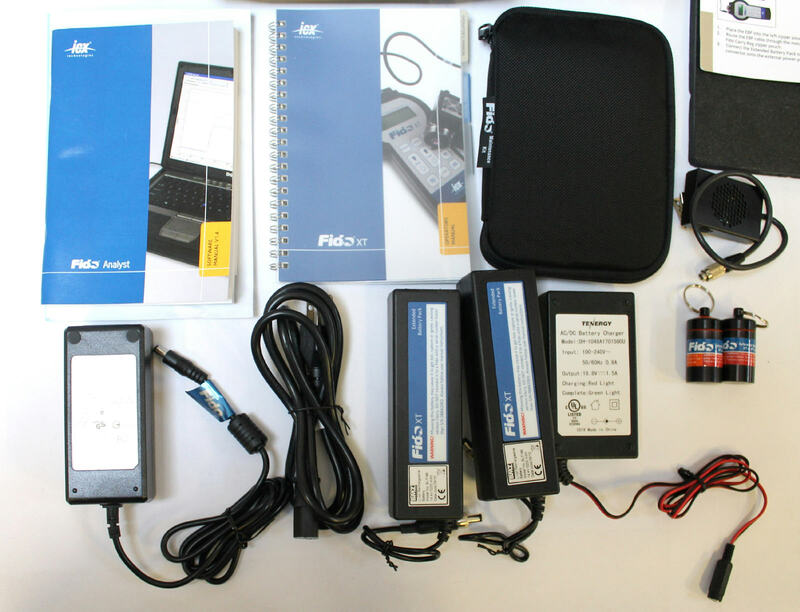 Up for sale is a used Flir Fido XT Portable Explosives Detector. It has been tested and is in good working and cosmetic condition. Acessories included: Lapel Speaker, Extended Battery Packs, Battery charger, AC Adapter, Fido Analyst XT Software CD w/ Manual, Hard carrying case, soft hand-held carrying bag, Sampling Swipes. Battery packs are not guaranteed. 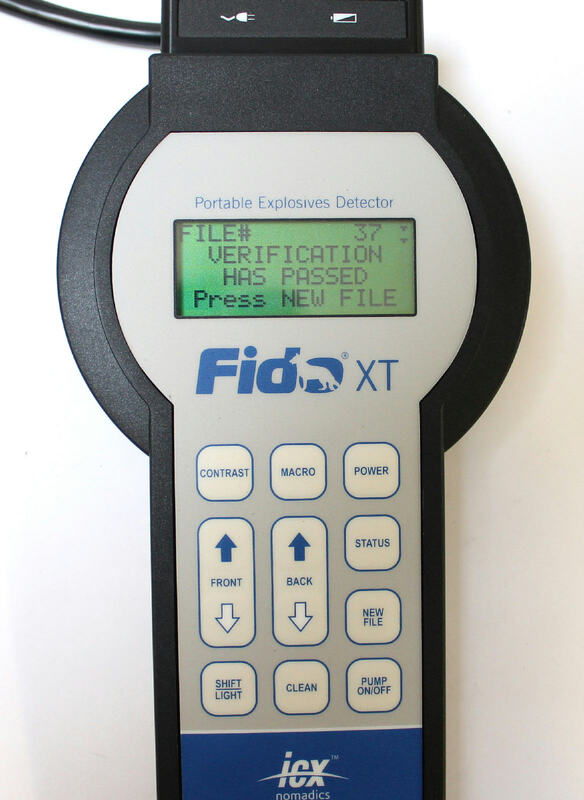 This detector can only be sold in the U.S.
Based on a breakthrough detection technology, the combat proven Fido® XT is currently in use throughout Iraq and Afghanistan. 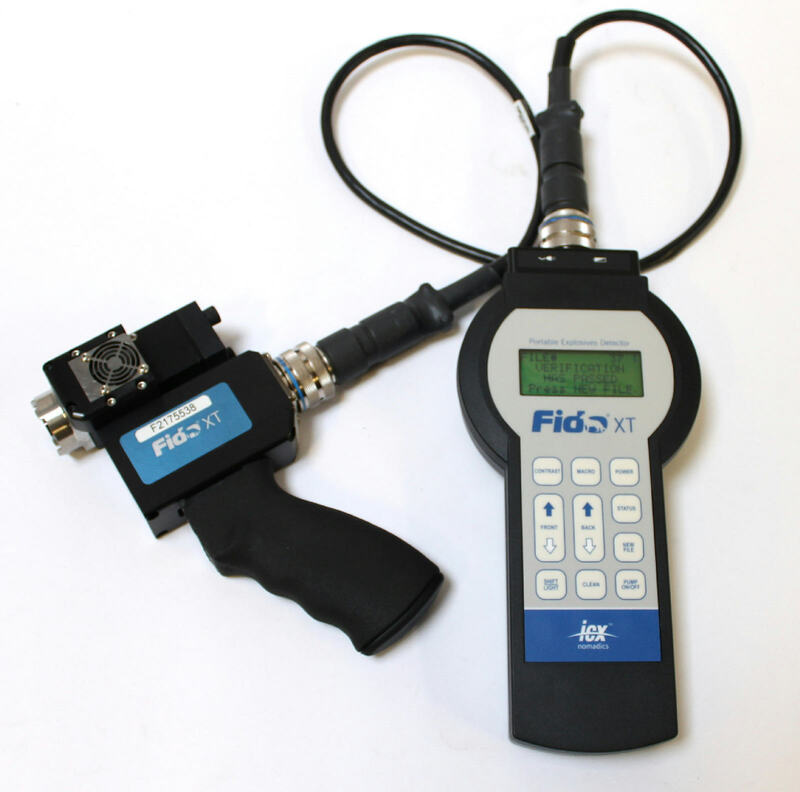 Unlike other systems, the Fido uses a polymer-based technology to achieve better and faster detection results. This innovative material provides an immediate response before rapidly resetting for continued screening operations. To mitigate the threat of improvised explosive devices, detection solutions must be sensitive, portable and flexible in their application capabilities. 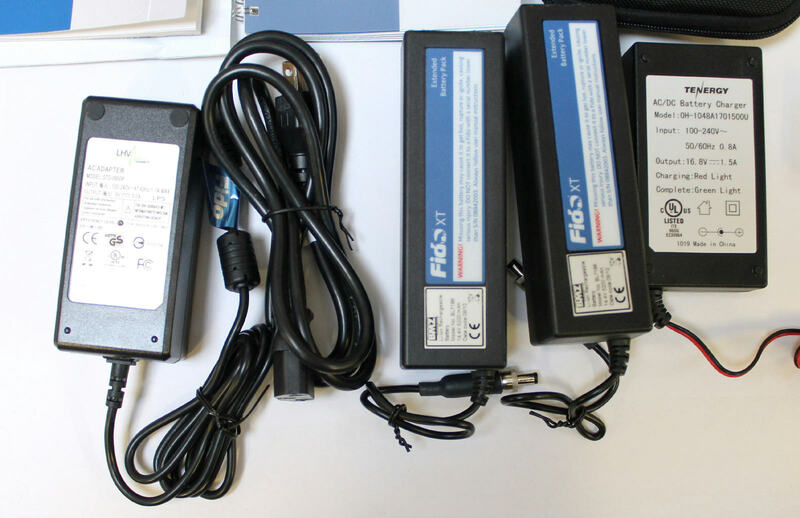 The Fido meets and exceeds these requirements through its sensitivity and compact nature - helping users pinpoint people involved in the construction, transportation and deployment of explosive devices. 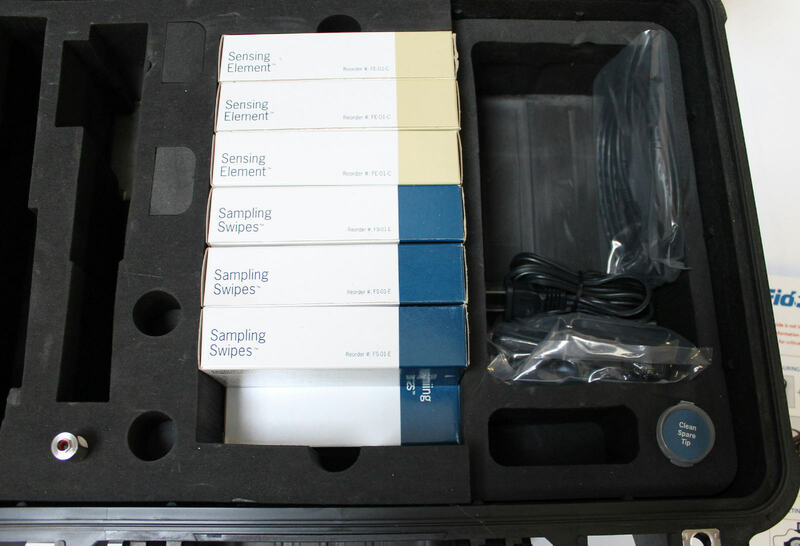 Even after a positive detection result, screening operations can continue uninterrupted. Unlike other devices, the Fido does not force the user to wait through excessive cleaning and clearing routines before using the device again. 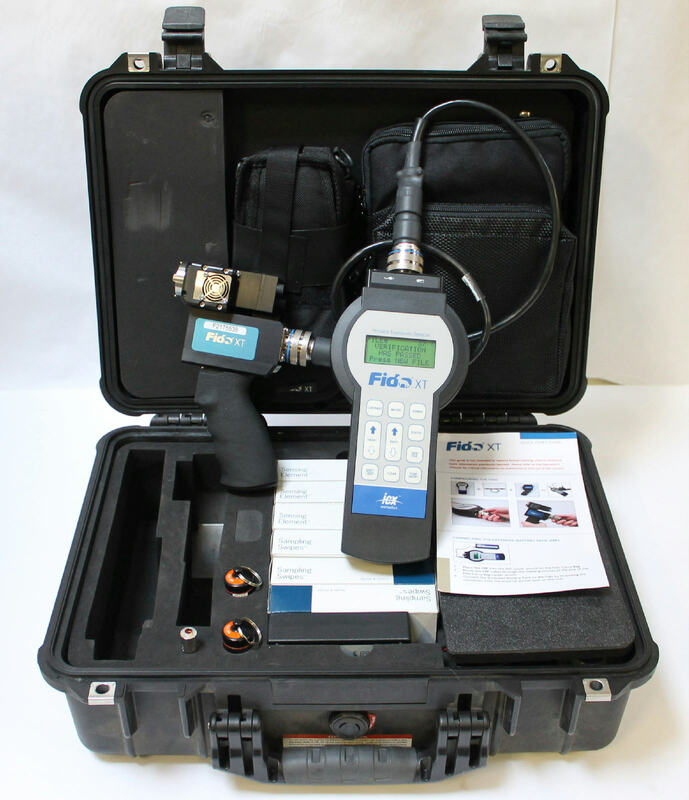 Rather, the Fido allows users to locate trace amounts of explosive materials, quickly verify their results and continue screening the surrounding area or additional personnel. This capability also enables the Fido to be mounted as a payload on a robot; the only explosives detector to effectively do so. 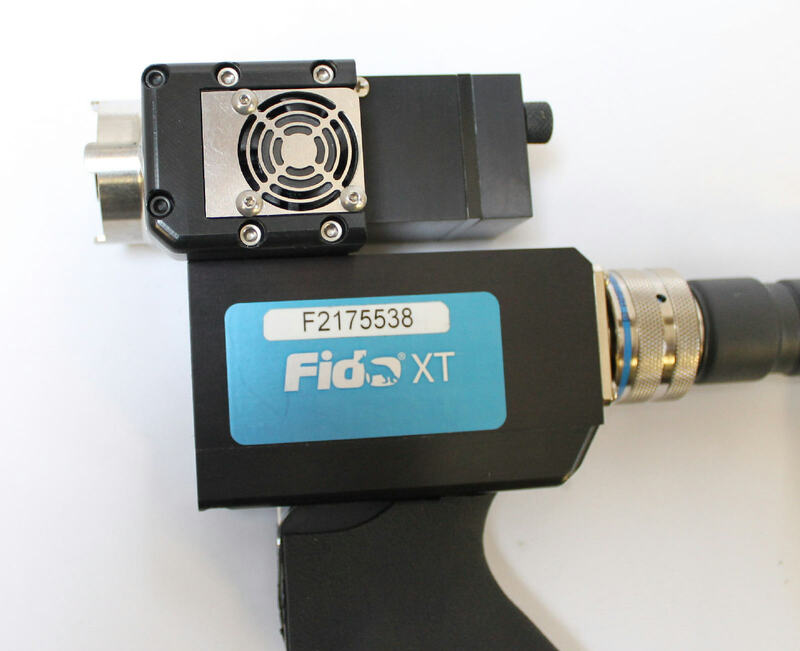 Weighing less than three pounds, the Fido XT is small, fast and ultra-sensitive. In today’s asymmetric fight, working dogs are an invaluable asset. Now, the size and sensitivity of Fido puts the capabilities of canine detection into the hands of the war fighter, first responder and security personnel.